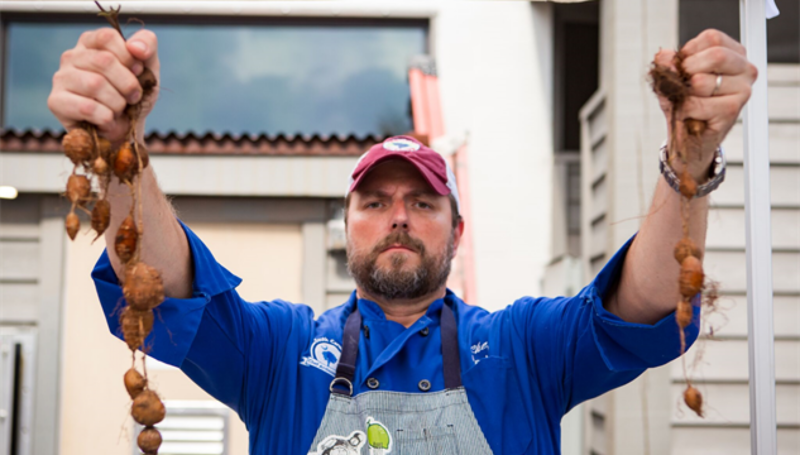 My buddy Chef James Clark is arguably the most avid outdoorsman I know this side of Rene Redzepi, and probably a whole lot more fun. While you can imagine Rene truckin’ around the woods outside Copenhagen looking for edible lichens to pair with a cardamom – milk skin, Chef James would much rather spend time slaying some running salmon on the Manistee, raking in some “Bugs” (shrimp) off an abandoned rice field somewhere, or waiting patiently for that next big twelve pointer to come scratching. 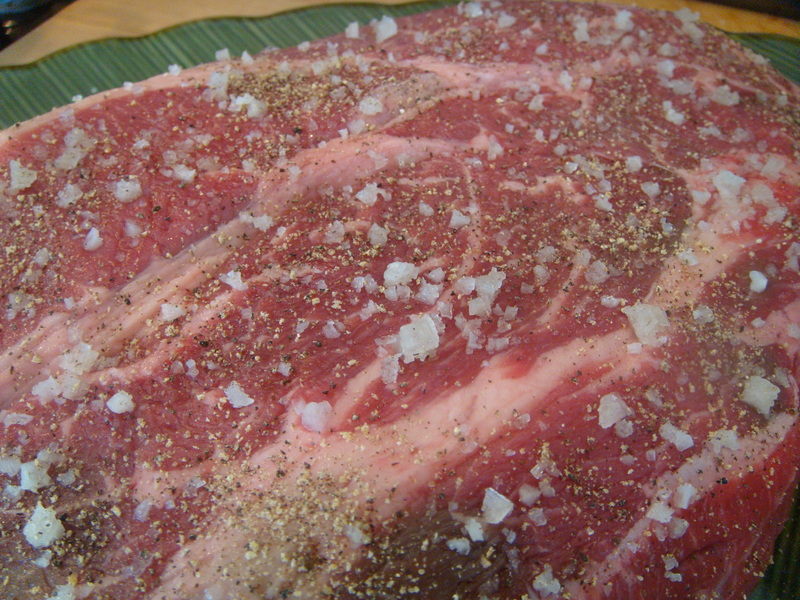 Crank it to high, and as it heats, season your beef chuck with the salt and pepper. Lightly oil the pan and as it begins to smoke, add the chuck, gently laying it down in the pan away from you so as not to splash hot grease on yourself. 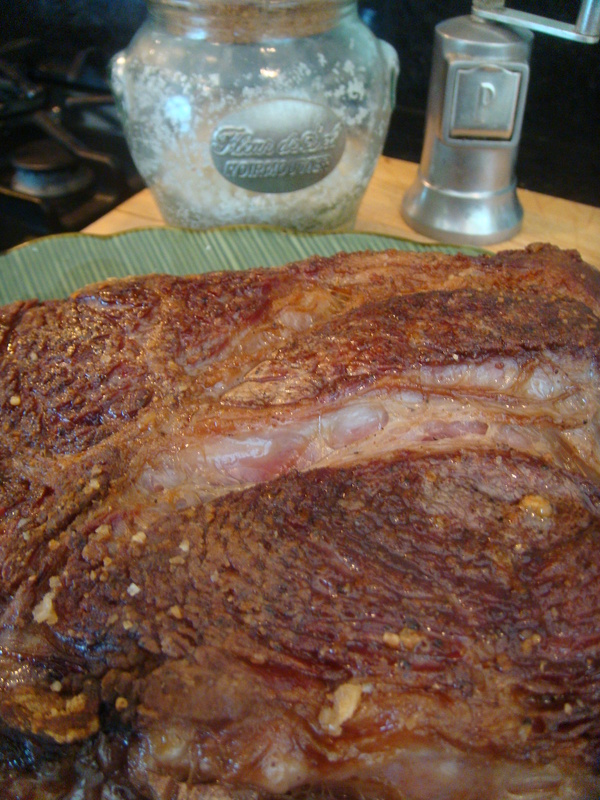 Allow the beef to develop a mahagony brown crust before you turn it, then repeat. Remove the chuck and allow to rest. Add diced mirepoix of onions, carrots and celery, stirring frequently until well caramelized on a medium flame. Add the garlic and stir, allowing to brown lightly. Deglaze the pan with the red wine, add the bouquet garni and reduce by half. 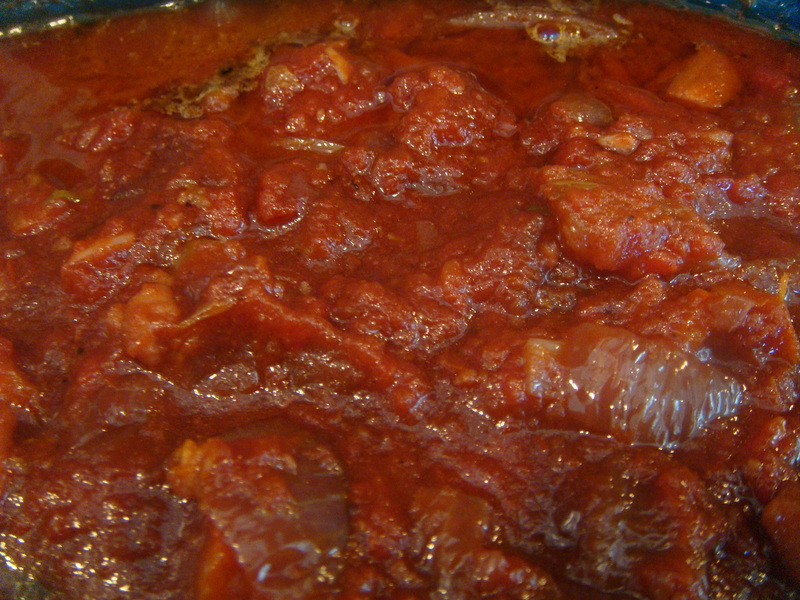 Add diced tomatoes and their juice and reduce by half. Place the beef chuck in a slow cooker, cover with the tomato – mirepoix pincage, add the beef stock, cover and set your slow cooker on high. After an hour, reduce heat to low and allow to simmer for 6 hours. Periodically skim any rendered fats. When the pot roast is fork tender, remove (carefully) from the slow cooker. If you prefer a thinner jus, you may opt to just strain the jus of any solids. For a more robust quality, I recommend using an immersion blender on the contents for a rich sauce with a velvet nappe consistency. Taste and season with salt and pepper. If you agree with the adage from Zingerman’s of “Anything to make it marginally better” I highly recommend whisking in several pats of good quality cultured or European style butter. …and yes, the leftovers make a killer hash for breakfast.